Apr 13, 2019 at 09:30a.m. - Apr 13, 2019 at 11:30a.m. 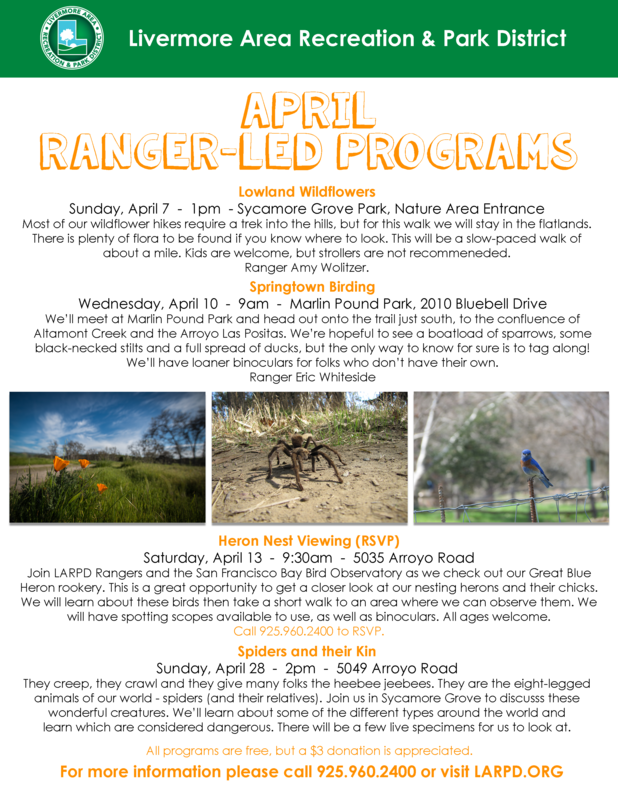 Join LARPD Rangers and the San Francisco Bay Bird Observatory as we check out our Great Blue Heron rookery. This is a great opportunity to get a closer look at our nesting herons and their chicks. We will learn a little about these birds and take a short walk to an area where we can observe them. We will have spotting scopes available for use, as well as binoculars. Feel free to bring your own as well. All ages welcome. RSVP required by calling (925) 960-2400.